July and August seem to have passed in a flash. As a keen ornithologist I’ve been itching to get back to photographing birds but at this time of year they’re really not looking at their best. This year’s youngsters still generally look pale and washed out - having yet to moult into their full adult plumage. Adults look totally worn (out) and in some cases seem to have lost the majority of their feathers! I’ve a barely recognizable robin in the garden and an almost totally bald-headed blackbird - the stress of that fourth brood perhaps just too great! So, birds have not featured heavily in my work over the last two months and instead I’ve concentrated again on butterflies…and the odd fish. 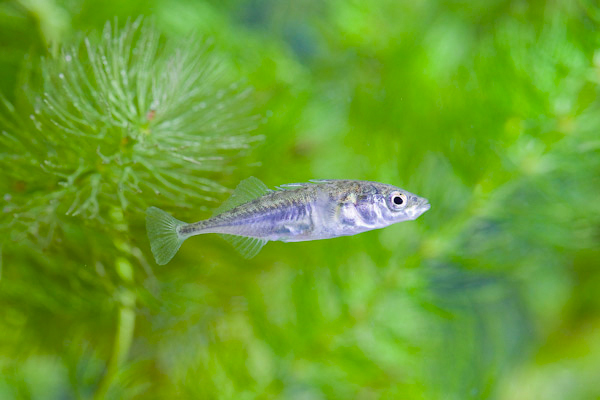 These beautiful fish are relatively common in clean, well oxygenated rivers and streams. They prefer shallow, fast flowing areas with gravel beds where they feed on a mixture of small invertebrates, algae and plant material. 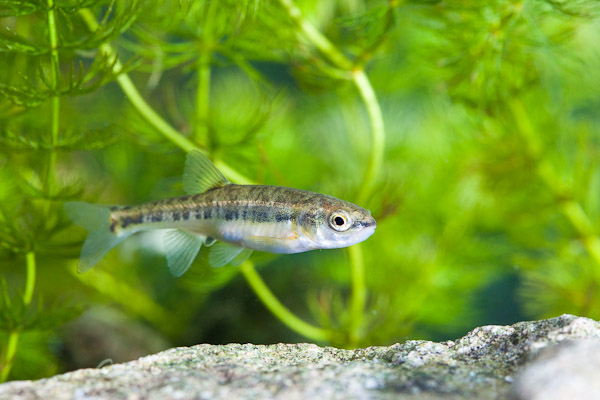 They are bottom feeders and have 3 pairs of barbules around their mouth to detect prey. 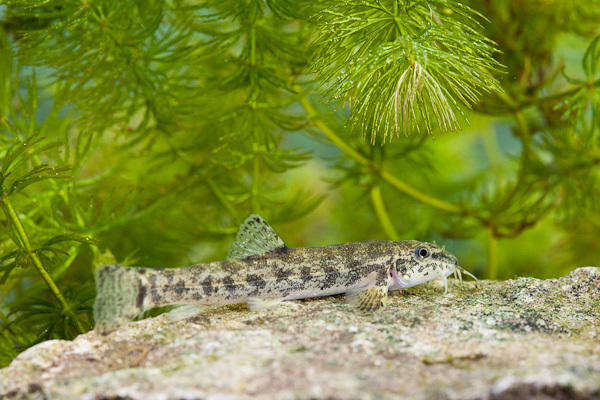 Mostly nocturnal, and spending much of their time hiding under rocks and stones, they’re not the easiest of fish to photograph. Minnows and 3 spined stickleback have been more obliging. 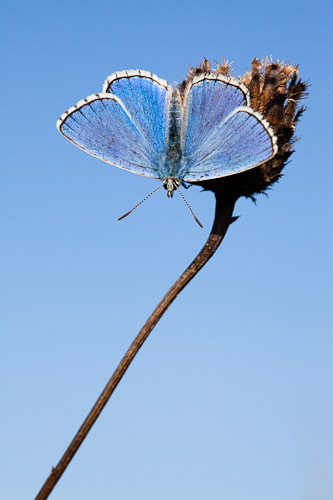 Back on dry land….. I’m fortunate enough to live relatively close to some chalk downland and this year I’ve made a point of returning almost every weekend to the same sites to monitor the changes in both the flora and the fauna. 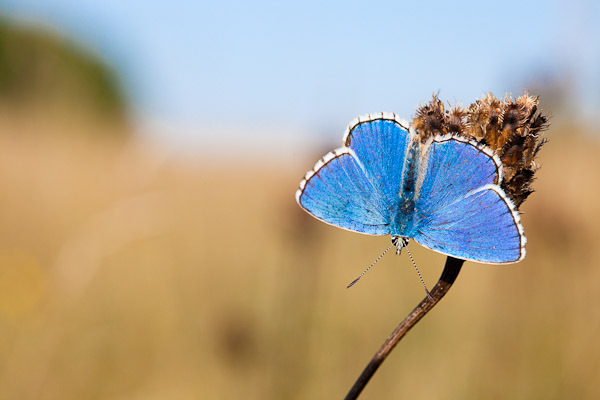 Where in May I was photographing fields of orchids and beautiful marbled white butterflies, in July and August these were succeeded by swathes of devils-bit scabious and brilliantly coloured adonis blues. During the latter part of August we had some dreadful weather in Wiltshire - gale force winds and torrential rain that lasted for days. I’ve no idea how, but the butterflies seem to manage to cope with this climatic inclemency. Getting close to these insects, as I regularly do, you have to marvel at their apparent fragility which seems at odds with their astonishing ability to withstand regular punishment from the erratic climate in this country. 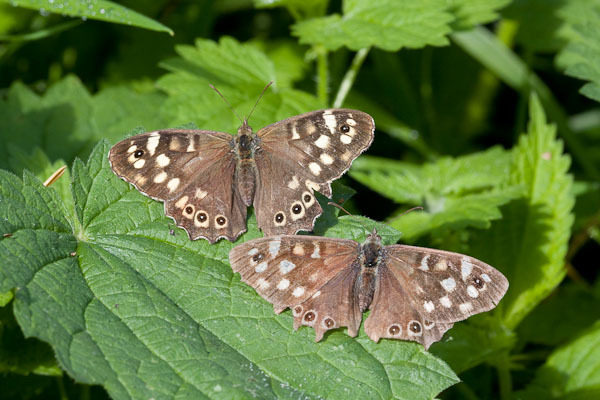 Timed to coincide with the ripening of fruit and berries, speckled wood butterflies can be found in good numbers now, particularly along woodland rides - and very often in people’s back gardens. 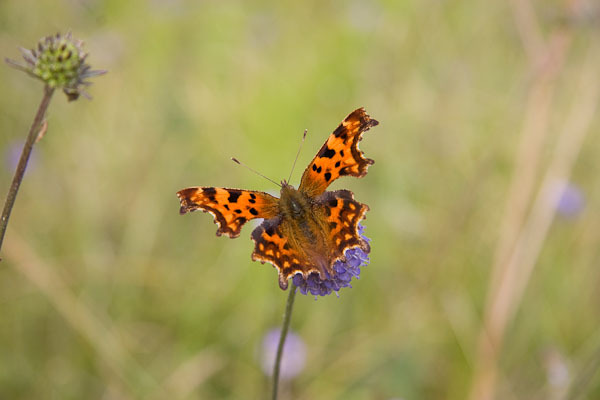 I’ve yet to see any Comma butterflies but I live in hope - with their beautifully marked, ragged wings and their predilection for over-ripe fruit they are the harbingers of autumn proper. I am leaving fallen fruit and racemes of ripening blackberries unpicked to try and tempt any passing individuals to drop in.